This month we’ve been working hard to pull together a stimulating and practically-focused Science meets Business. With an excellent line-up of speakers and a similarly experienced list of delegates, the day promises to be stimulating, creative, practically-focused and forward looking – and a terrific opportunity to make new connections and perhaps even forge new partnerships. We still have only a handful of places left and will close registrations in a week, so if you’ve been putting off registering or are yet to send us your nominated delegates, please don’t delay. Among our guest speakers at Science meets Business are Assistant Minister for Industry, Innovation and Science the Hon. Craig Laundy MP, and Shadow Minister for Science Senator the Hon. Kim Carr. We look forward to hearing from them about how all the innovation buzz is being translated into action. I’m pleased to report that I met recently with the co-convenors of the Parliamentary Friends of Science, the Hon. Karen Andrews MP and the Hon. Richard Marles MP, and both have enthusiastically committed to re-convene this important group. This will happen in the coming weeks and STA will soon start to work with the Friends of Science to stage their first event of the new Parliament. Now is the time to start thinking about who among your membership might benefit from attending Science meets Parliament: to be held in the second half of March 2017, this is a great opportunity to network and develop new skills, and I encourage you to put forward delegates who are keen to engage with politics and who have not previously had the chance to attend. I recently met with the Chief Scientist and leaders at Innovation and Science Australia to discuss the R&D Tax Incentive review, the Commonwealth Science Council’s horizon scanning, and other emerging issues and initiatives in science and technology. STA is preparing a submission to the Tax Incentive Review consultation; I encourage members to please make contact if you would like to discuss or contribute to this submission. The President, Professor Jim Piper and I also met recently with CSIRO Chief Executive Dr Larry Marshall, to hear about his plans for our important national research organisation. Members will have noted the recent call for applications to join STA’s Executive Committee: as we speed toward the November AGM it’s time to consider whether you’d like to join our leadership group and help steer the organisation’s strategic directions and priorities. Positions up for election this year are President-elect, Secretary, Policy Chair and Early Career Researcher Representative. Any fully paid-up member of an STA ordinary member organisation is welcome to nominate: please get in touch if you’d like more information. Nominations close on 11 November, and the election will occur at the AGM in Canberra on 25 November. All members of our member organisations are welcome to attend the AGM: please let us know if you’re intending to be there: I hope to see a strong representation and look forward to the opportunity to meet more members. I’ve enjoyed the privilege of speaking with a number of you in the past month – in Brisbane, Canberra and Sydney – and hearing your views about STA’s current and future directions. I’m very much looking forward to catching up with old connections and making new friends at our event in Melbourne in a few weeks’ time. If I haven’t had the chance to speak with you yet, please know you are welcome to call or email any time. The second Science meets Business event is now only a couple of weeks away. Building on the success of last year’s event, this year we have an outstanding array of speakers and attendees for this exciting and engaging day of discussions and networking. You can see the list of speakers here. We still have a few spots left so get in touch this week if you’re interested in attending. For those who can’t make it, we will have details and recordings available afterwards on our website. 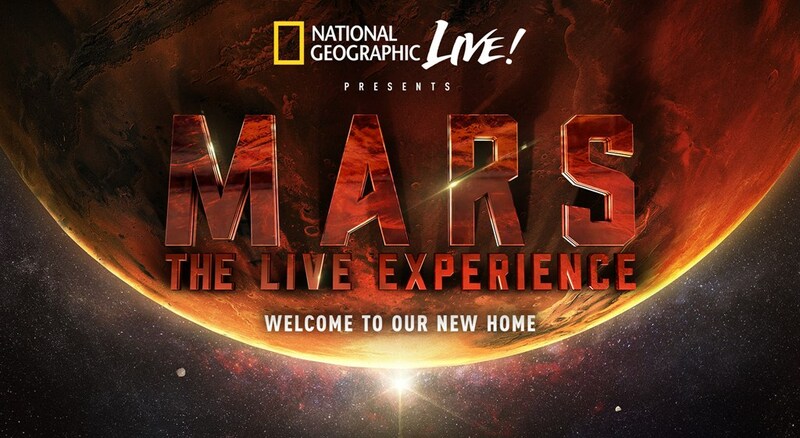 Science & Technology Australia has proudly partnered with National Geographic Live to bring Buzz Aldrin and leading scientists from international space agencies to Australia to discuss the challenges and opportunities in colonising Mars. Thanks to our partnership STA can offer a 20% discount on tickets, redeemable by following this link. 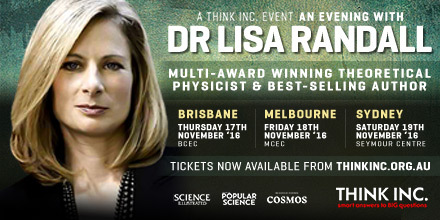 Dr Lisa Randall, the first female theoretical physicist to hold tenure at Harvard University, is touring Australia this November in her debut tour. In addition to working to uncover a ‘fifth dimension’, Dr Randall is also a leading advocate for the role of women in science and building an environment that helps young women pursue their interests in science. For more information, please click here. The Australasian Society of Clinical and Experimental Pharmacologists and Toxicologists is holding its annual scientific meeting in conjunction the Molecular Pharmacology of G Protein-Coupled Receptors meeting in Melbourne 27-30 November. Registrations for MathsFest Australia 2016 are now open. MathsFest takes place between 28 November and 13 December with nearly 40 international speakers confirmed. The 23rd Australian Statistical Conference 2016 is on in Canberra from 5-9 December 2016. It will be held in conjunction with the 14th Australasian Data Mining Conference and the 9th Australian Conference on Teaching Statistics. The RACI National Centenary Conference 2017 is being held in Melbourne on 23-28 July 2017. The Australian and Singaporean Governments are holding two joint research workshops next year on data science and marine science. 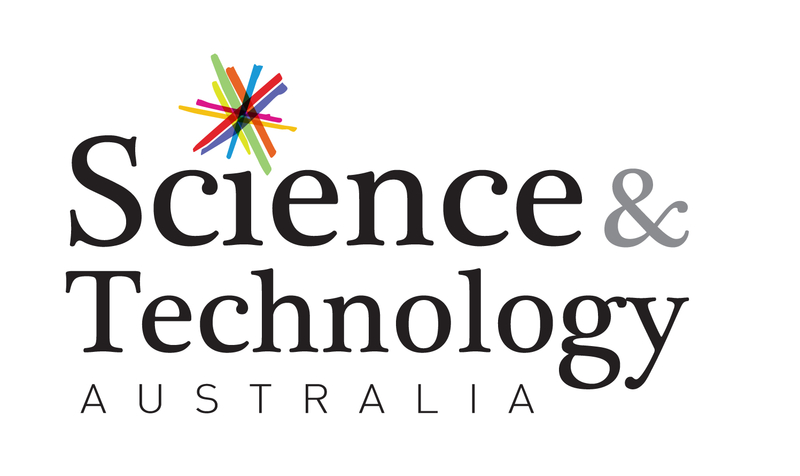 To indicate your interest, contact Andrew Ford at the Department of Industry, Innovation and Science (Andrew.Ford@industry.gov.au) and copy International Science (international.science@industry.gov.au) and the Australian Academy of Science (grants@science.org.au) by no later than 14 October 2016. The Australian Geoscience Council and the Australian Academy of Science are providing grants for early-career Australian and New Zealand geoscientists for career related travel. Applications close 31 October. Nominations are open for the 2017 Clunies Ross Awards to recognise contributions from individuals to use technology to benefit Australia. Members, would you like us to feature your upcoming event on our website and in our newsletter? Please get in touch at info@sta.org.au.